Union Ministry of Housing and Urban Affairs has recently launched ‘PAiSA’-Portal for Affordable Credit and Interest Subvention Access during the National Workshop on Municipal Finance and Urban Planning held 0n 27th November 2018 in New Delhi. 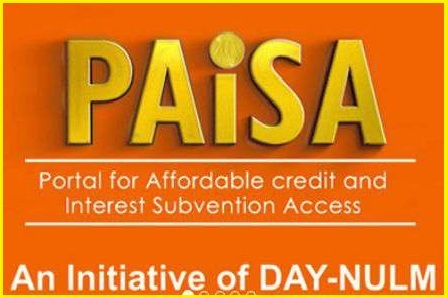 PAISA Portal is a centralized electronic platform for quicker processing of loans under the Deendayal Antyodaya Yojana-National Urban Livelihoods Mission (DAY-NULM). PAISA Portal aims to connect directly with beneficiaries and ensure there is greater efficiency in the delivery of services. It has been designed and developed by Allahabad Bank, the nodal bank under the scheme. All 35 States and Union Territories (UTs) & all scheduled commercial banks, Regional Rural Banks (RRBs) and Cooperative Banks are expected to be on board the PAiSA portal the year-end. The workshop initiated a platform to identify key areas of concern regarding municipal finance and urban planning and exploring the options available to resolve them by inviting senior experts to shed light on best practices. The workshop witnessed more than 300 delegates comprising officers from the states, urban local bodies, town planning offices across the country and banks participated in the workshop.